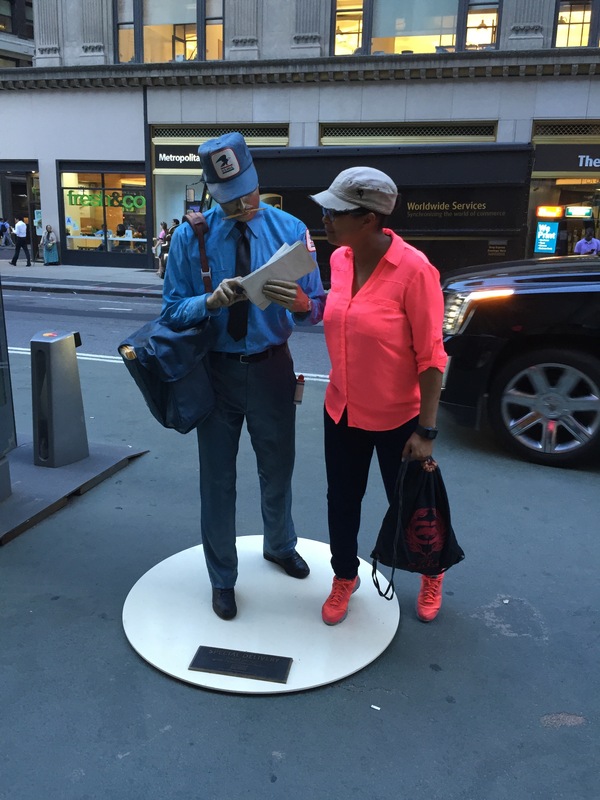 Walking around New York City, there are lots of lifelike statues. This one of a mailman sorting through his delivery was too inviting for me to resist taking a peek over his shoulder. Yes, the letters have real addresses on them. Every time I go to Coney Island, I ask myself, “Why don’t I come here more often?” I don’t really go on the rides but just being in the park, seeing the kids have fun, walking on the boardwalk and seeing all the crazy people doing all the crazy things. Trust me, there are always crazy people doing crazy things. I think that environment might be why they have the hot dog eating competition here. You have to be in a place like this to even think about eating that much food in that little time. Bonus points for Coney Island: the park is free to enter, you can bring your own food in, but the concession stands are not as expensive as other amusement parks. And you can get to it by subway. 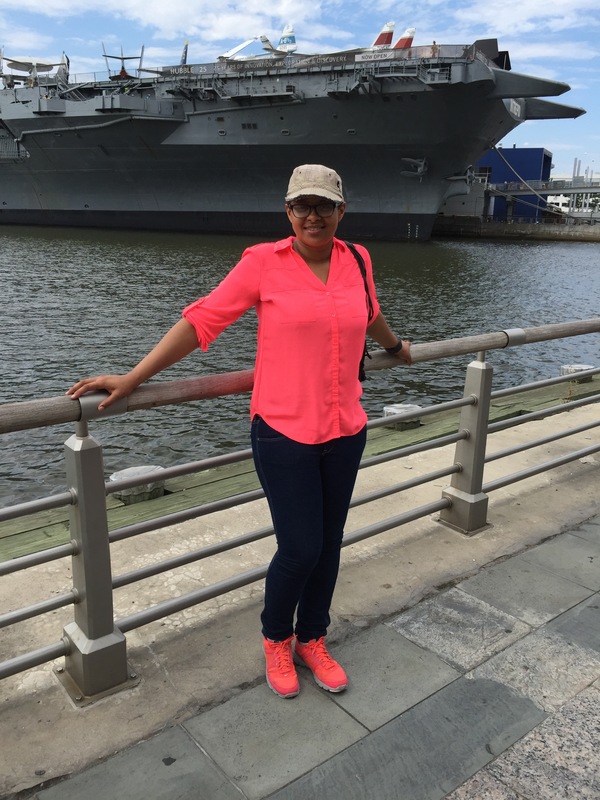 In front of the Intrepid. We were going to see the museum but there wasn’t enough time. Strange that in the city that never sleeps, the Intrepid museum closes by 5:30. Who knew! I’ll have to go back sometime. 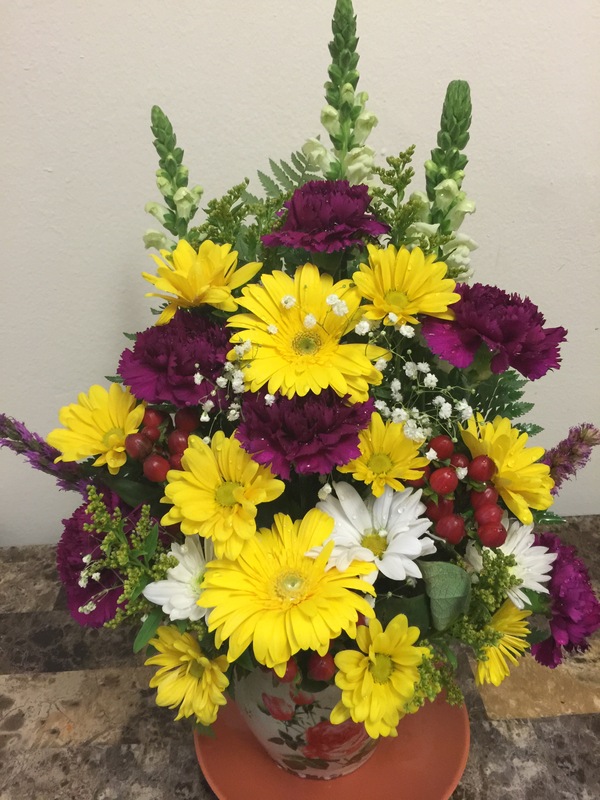 My friends got me a beautiful bouquet to say thanks for being awesome. Awww. Blushing and nodding. Yes, I am awesome! 😀 but so are they. 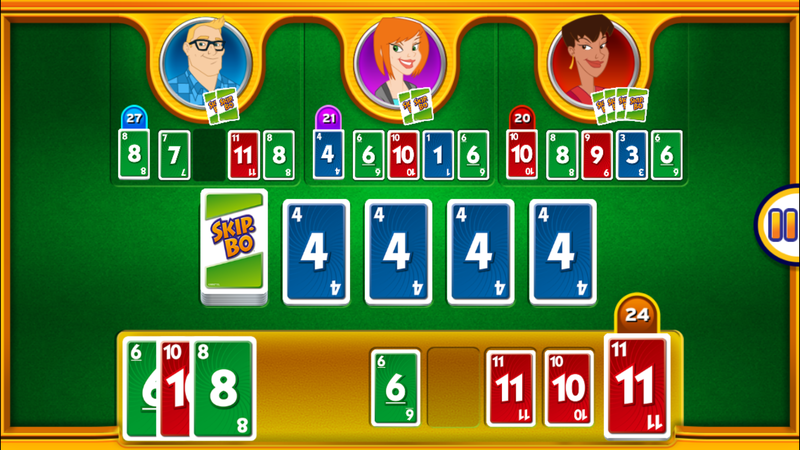 Another friend introduced me to Skip Bo, a matching game app to play on my phone. Bonus points because I can play on the subway. Skip Bo is a little like Uno. I’ve been practicing so when I play with real people, I’ll win. I think I’m finally ready to accept a game invite. What would your snapshots say about what you did this week? I have never been to Coney Island! What a fun place to visit! It really is. I hope you get to visit it someday. Ummmm so when I saw this on Insta, I thought that was a real mailman…hahaha I am going to check that app out too. What sweet friends you have! 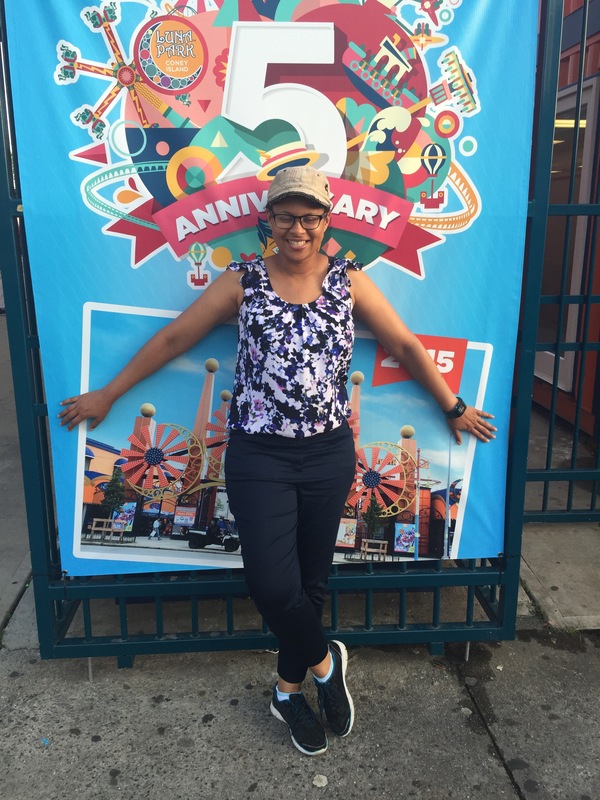 I have never been to Coney Island…I have to add it to my list. I love that you do these snapshot posts!! Have a great weekend! Thanks, Katie. Let me know when you’re coming to NYC. We could have a blogger party at Coney Island for all the ppl who told me they haven’t been there either. Thanks. That is my bright shirt. I can only wear it a couple times a year. Any more and it’s overkill. But it’s a fav. Going to Coney Island (and eating a hotdog there) is on my Dad’s bucket list! Coney Island really is an iconic place. Some of the old features have been updated or replaced but it still has a rich history.